Michael James Moran of Moran Woodworked in Charleston, South Carolina has been practicing his craft of woodworking for over a decade. His love of local materials and fascination with wood grain make his homage to the hand tool series incredibly impressive...and important. 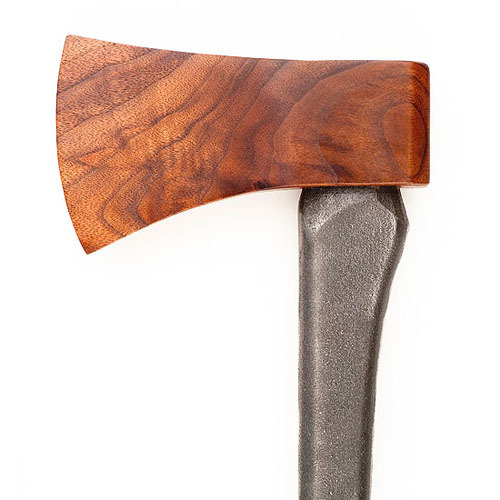 Michael plays with the reversal of materials, utilizing iron for handles, walnut wood for the heads. It's a wonderful study of functionality that showcases the simple beauty of these tools which are deeply entrenched in our history. All of the wood used in his creations are harvested from local, sustainable forests. 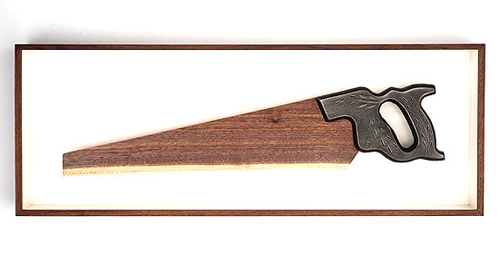 Using a single board of black walnut, this Walnut Bow Saw is striking and may I say, very cool. These tools, which would look amazing displayed in a home or workshop, don't come cheap. This saw alone costs $4500. These are tools to be coveted and admired. 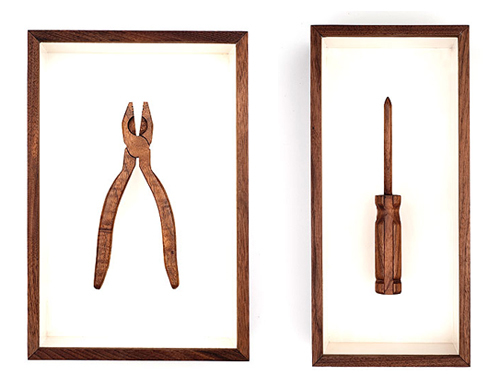 They would make an amazing gift for any lover of carpentry and woodworking. I'd just start filling the piggy bank up now... See all of Michael's gorgeous handiwork in his homage to hand tools, here.